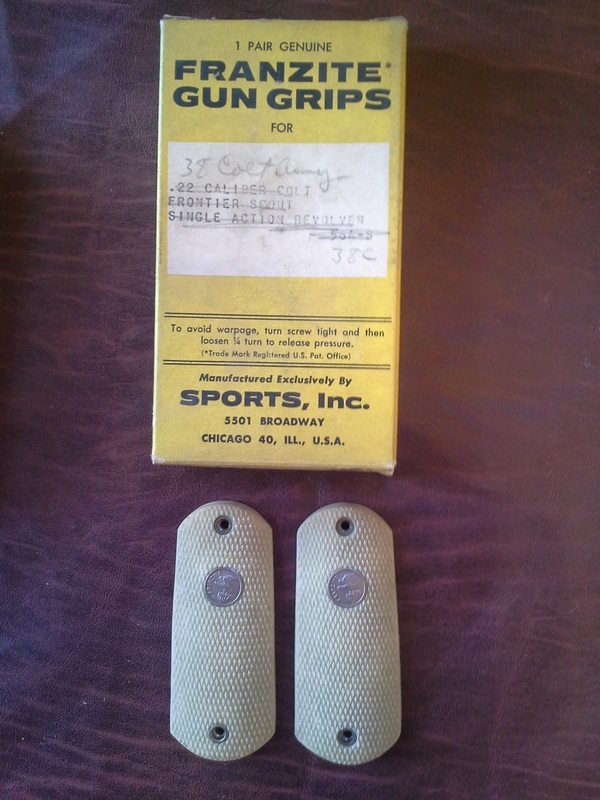 Franzite Grips are aftermarket pistol grips that were manufactured by Sports, Inc. out of Chicago, IL from the 1930's until the 1960's and were popular with gun owners and sportsmen. 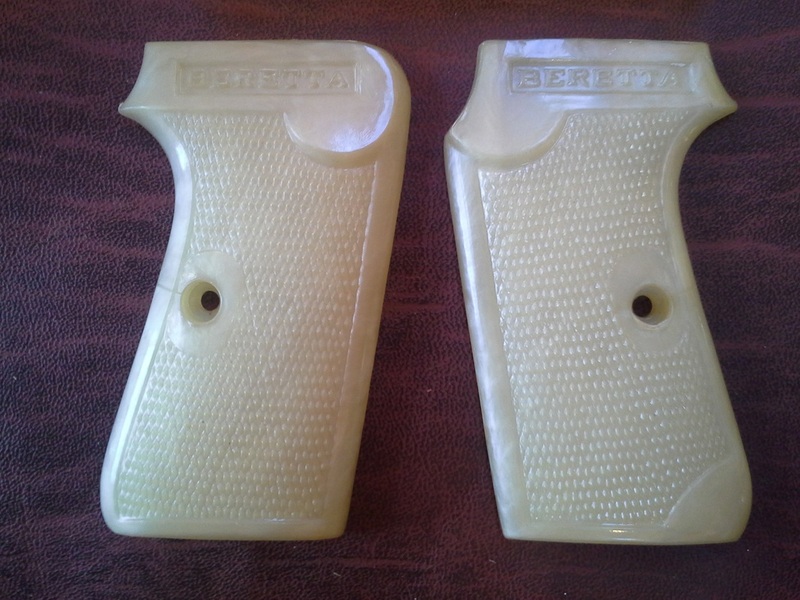 These grips are often described as made from Bakelite but were actually manufactured using a plastic similar to Tenite™. 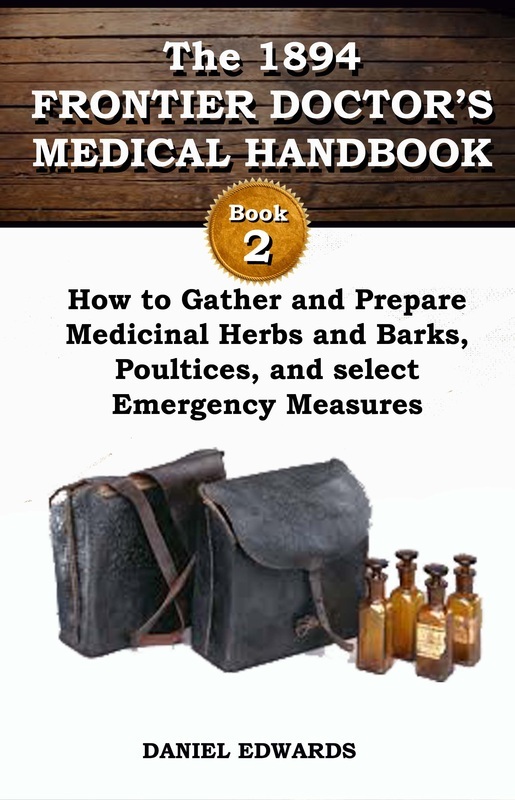 These types of synthetics were first introduced in 1929. The product was an air dried synthetic described as a versatile, durable, and attractive cellulosic plastic. Cellulosic plastics are noted for their excellent balance of properties - toughness, hardness, strength, surface gloss, clarity, chemical resistance, and warmth to the touch. These products are also easily molded, extruded, or fabricated and available in natural, clear, amber, and black making them a perfect material for pistol grips. Franzite grips are wonderful pieces of Americana that speak to our heritage of strong 2nd Amendment rights. At the time when these grips began, men took their sons and daughters out to the great outdoors and not only taught them responsibility and how to safely handle firearms but also how to appreciate the value of a quality made firearm. Often times those firearms would be passed down from generation to generation. It was in this period that Franzite Grips became a well known brand. 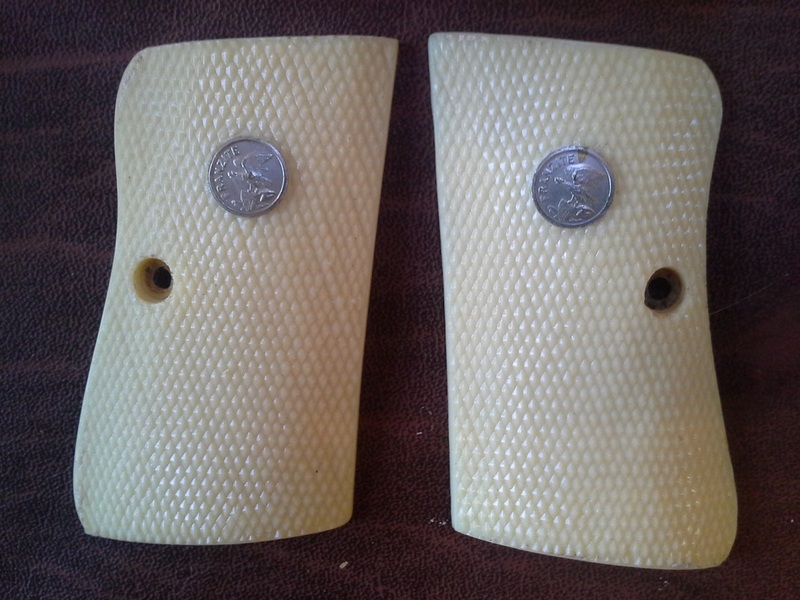 Franzite grips were available in faux stag, ivory, walnut, onyx, agate, black, fancy carved, and pearl variations. 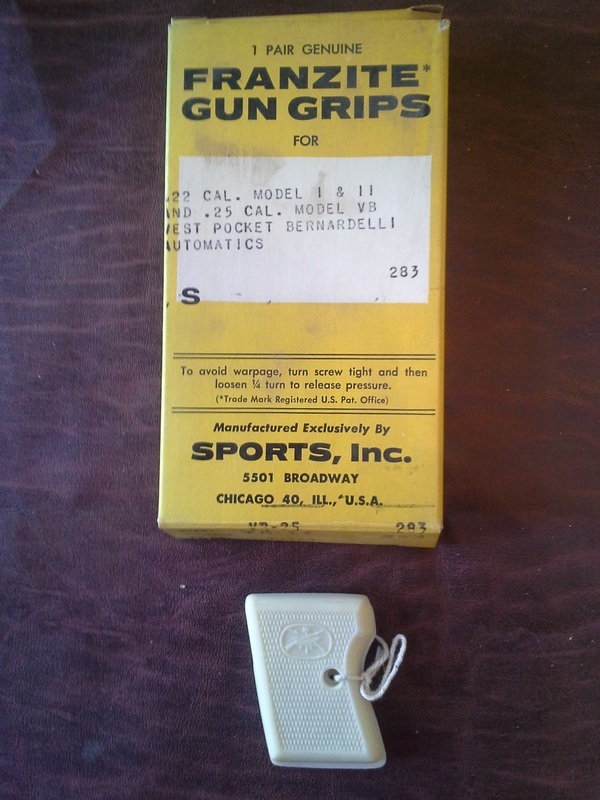 They also made Target grips, with or without thumb rests. In total more than 300 various types of Franzite grips were made for many of the popular pistols available in their day. The beauty of Franzite grips were that they were available for such a wide variety of pistol types including many rare pistols that are popular with collector's today. These include vintage Smith & Wesson, Ruger, and H&R revolvers, as well as popular automatics from Browning, Walther, Astra, and Beretta. In total more than 300 variations were manufactured, many times multiple options for a single type of pistol. Franzite Grips can be divided into various "types" including pocket pistol, cowboy pistol or wheelgun, mid sized pistol, and standard size semi automatics. Franzite marketed these grips to owners of each of the pistol types above. 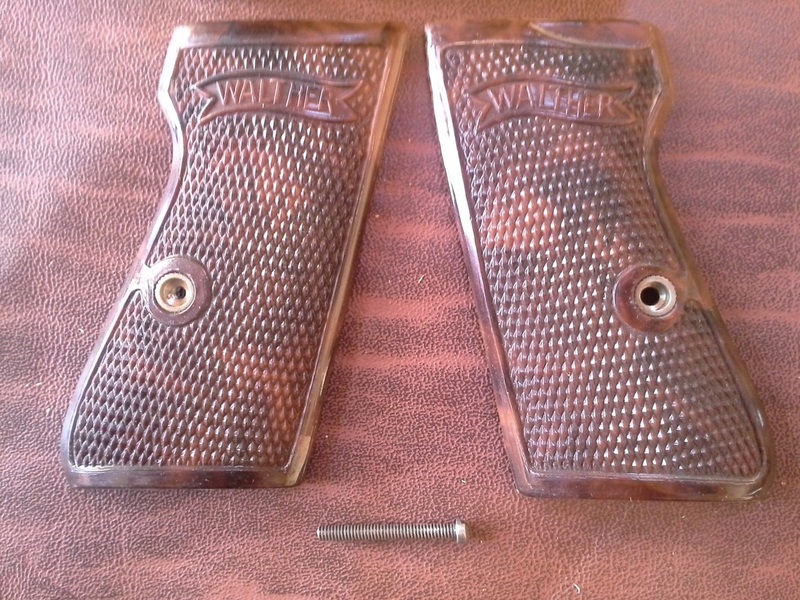 Many times Franzite Grips were the only options available for certain types of pistols because manufacturers were not in the business of making extra pairs of grips and the wide variety of aftermarket grips that we enjoy today did not exist during this time. In addition, many gun owners considered Franzite grips an upgrade over factory grips and would replace the originals as soon as possible after purchasing a new pistol. 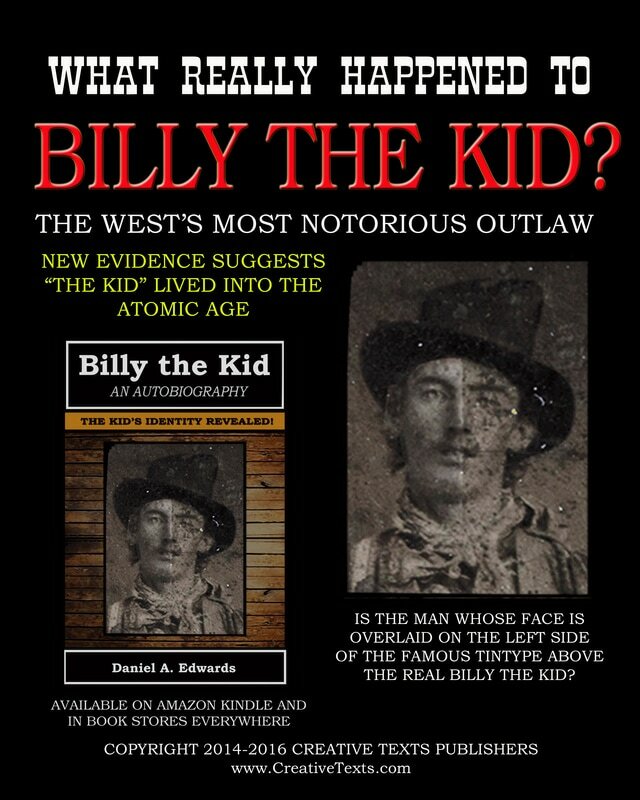 This was particularly true with wheelguns, or revolvers, which Franzite had a particular focus on. 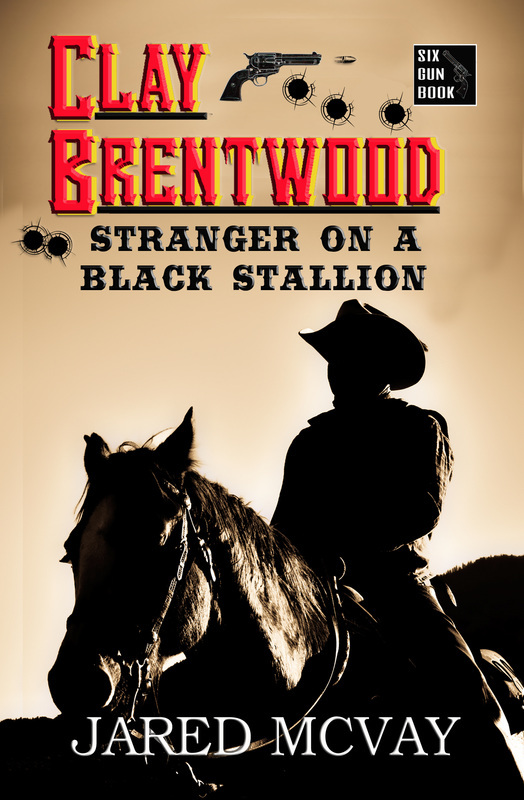 It was very common during the 1960s and 70s, the era of "Spaghetti Westerns" for guys to "dude up" their revolvers with a cool new pair of ivory or faux stag Franzite grips on their cowboy pistol. Franzite Grips were revolutionary in their time. 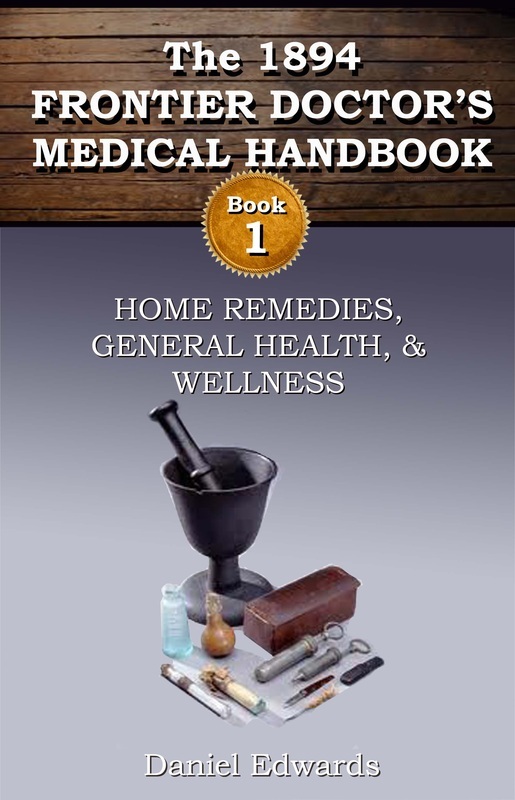 They are made of a hard plastic type material that looks and feels great. Certainly materials have come a long way over the past 50 years but as you can see from the items pictured that these are for the most part great looking pistol grips and in some cases match very closely to original grips. 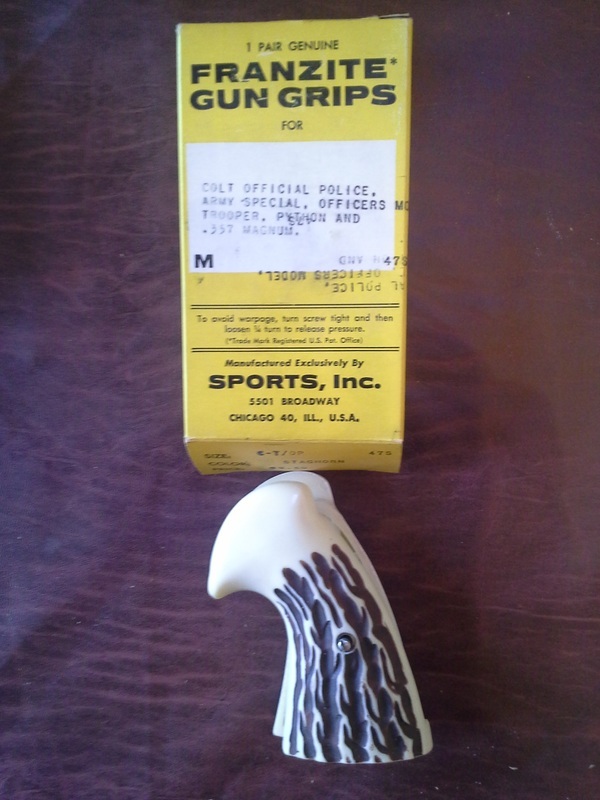 Much has been made by some of these grips warping to where they no longer fit precisely on the pistol and this is true, Franzite grips can, under the right circumstances, warp, shrink, or discolor. This is likely true of any material given the right conditions. I personally own more than 180 pairs of Franzite Grips and I don't have a single pair that have warped or discolored after more than 50 years. That should tell you something. 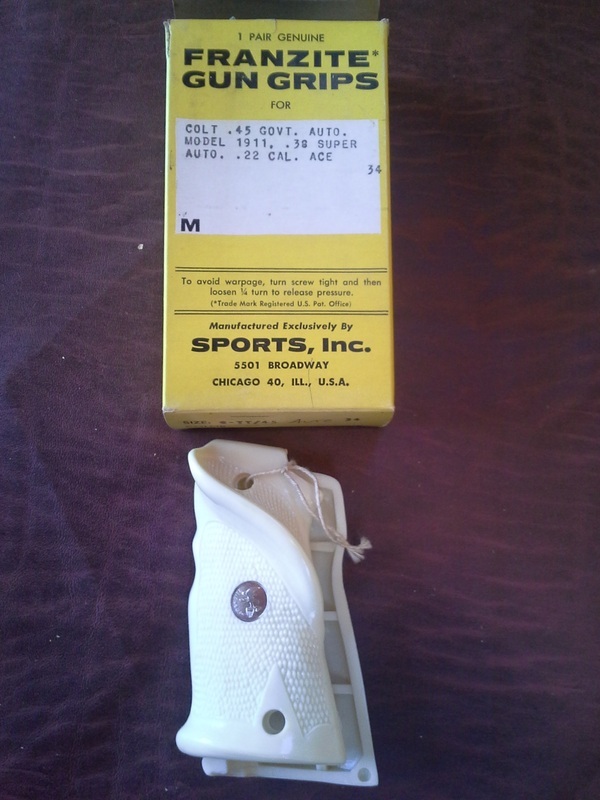 Sports, Inc., the maker of Franzite Grips felt so strongly that their grip quality was unquestionable that they guaranteed their products 100%. They claimed that they were "unbreakable" and the most durable made. Click the vintage advertisement on the left for the full text of their claims. Franzite Grips were wildly popular with gun owners, cowboy fans, and sports enthusiasts as illustrated by their success for more than 20 years in the industry. Many gun owners saw Franzite grips as a practical, attractive solution for their handgun. 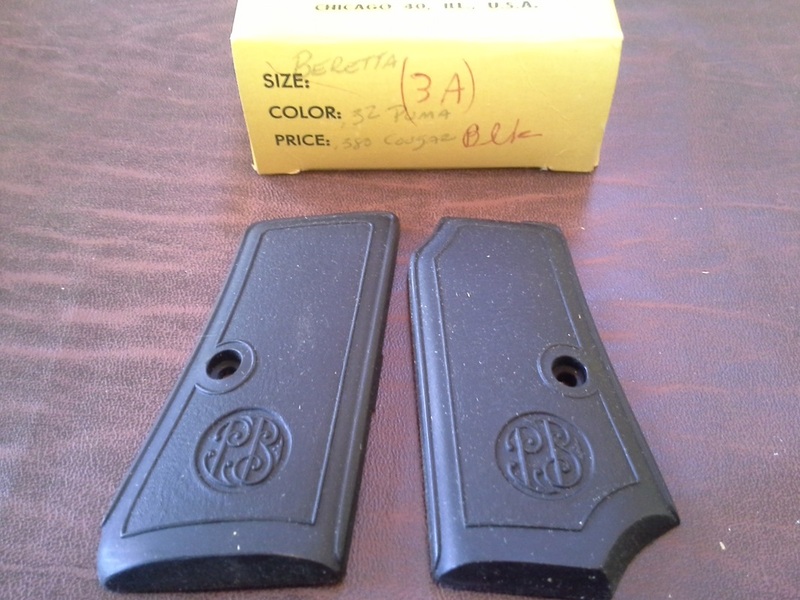 Lets face it, these are really great vintage gun grips. 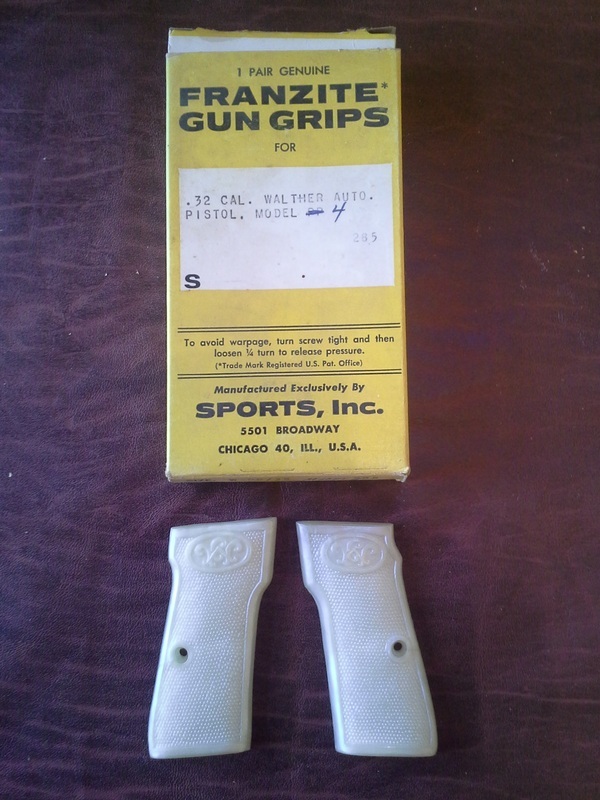 You don't last for 20 years in a competitive industry without doing something right and during the heyday of Franzite Grips they successfully advertised in numerous gun and firearm magazines and many people still remember those ads today. 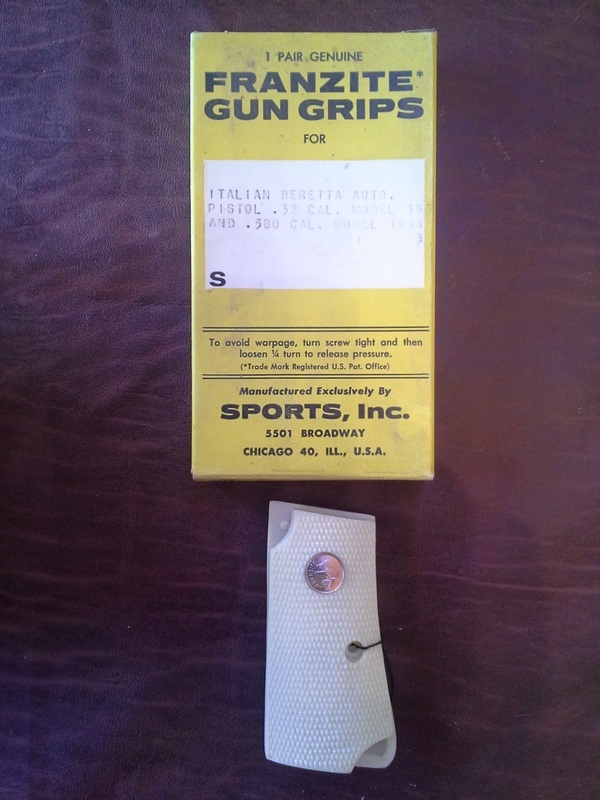 In fact, Franzite Grips are becoming popular again with collectors and gun enthusiasts who have nostalgia for the "good ol days" of gun collecting and recognize these vintage Franzite grips as a way to step back in time and relive memories of a better time.